While substantial technological progresses have been made in prosthetics hardware with multiple active Degree of Freedosm prosthetics (like recent polydigital hands), the conventional myoelectric control approaches of these devices remains limited, complex, unnatural and little intuitive. My research is therefore focused on developing more intuitive and efficient control paradigms, especially for the less considered cases of upper arm amputees (transhumeral): phantom limb based myoeletric control in transhumeral amputees to decode the stump's muscular contraction patterns associated to the phantom limb activity and mimic it with the prosthetics; and Movement based control approaches exploiting models of upper limb interjoint coordinations to automatize some prosthetics joints based on the voluntary movements of the stump. I also study the development of sensory substitition for prosthetics to allow subjects developing sensorimotor control loops, and try to characterize the effects and the key factors of embodiment of these technical devices. 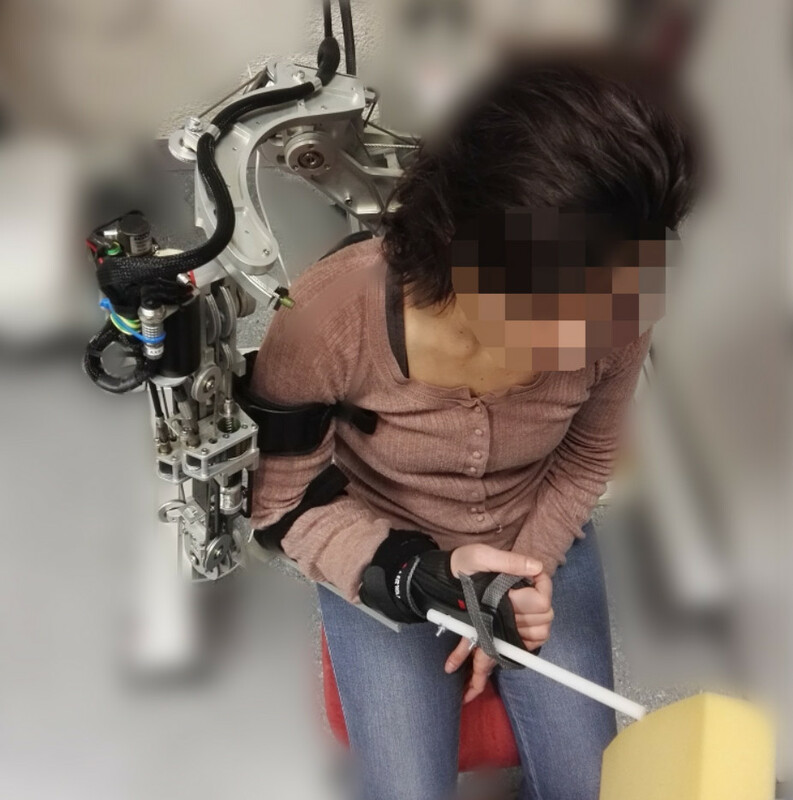 My work is principally dedicated to favor the use of exoskeletons in neuromotor rehabilitation of post-stroke patients, to facilitate and enhance the sensorimotor relearning. The transition from simple planar robots only interacting with the hand to more complex 3D exoskeletons interacting at the joint's level through several interaction points created several new research topics that I try to adress: the development of control approaches of these complex mechatronic structures to adress fine aspects of robotic interaction with the human motor control (respect of motor intentions, adaptation to patient's level, control of joint synergies) and the study of the mechanical coupling of human limbs to exoskeletons to master the force exchanges and respect the patient's body. 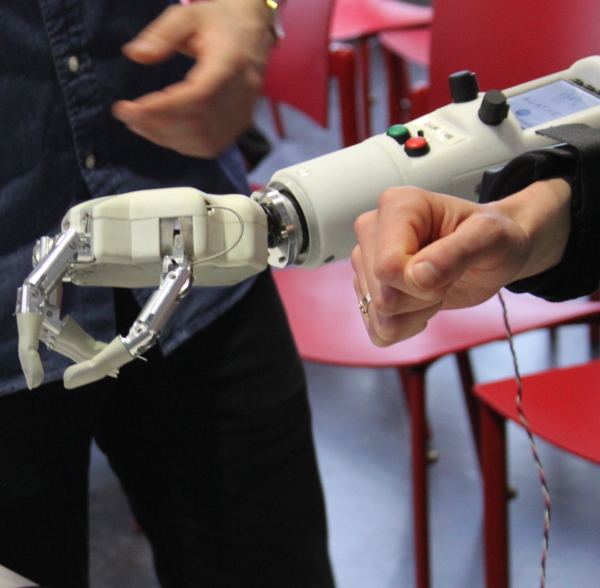 My research focuses on control approaches for (re)learning of motor coordination with an upper-limb robotic exoskeleton, adaptive control for "just-as-needed" assistance and transparency. 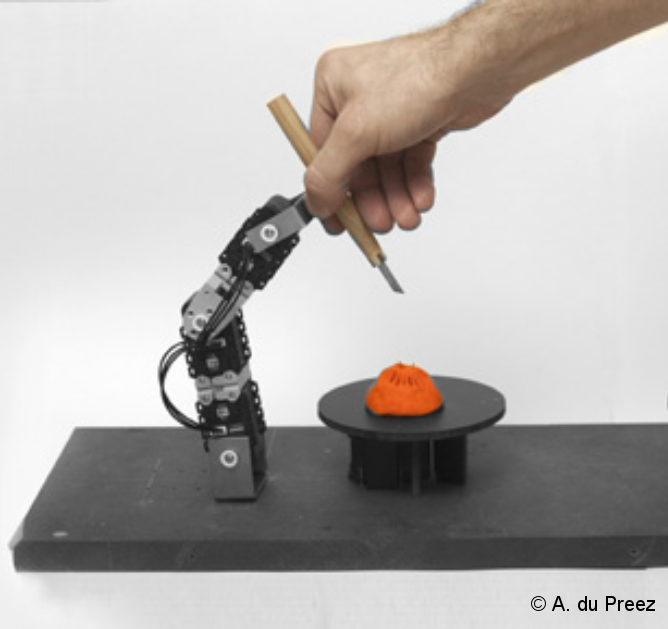 To build better physically interactive robots require a deeper understanding of human's ways of moving, interacting and performing motor tasks. Part of my research is therefore dedicated to the design of assessment devices, which can be also used as simple rehabilitation platforms, and to the analysis of human sensorimotor control in healthy and patients. My research focuses on the development of instrumented objects and simple devices for assessment and rehabilitation of upper limb. 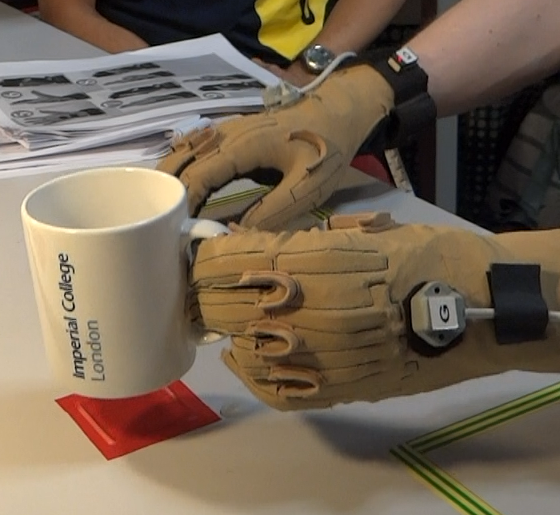 In collaboration with the Human Robotics Group of Imperial College London, I have been working on the understanding of physical dyadic interactions and on human-inspired biomimetic control, to transfer these knowledge and principles to robotic interactive devices. While physical interaction with robots is becoming common in many domains, numerous devices are not appropriated by their users and remain unused in the cupboard. This phenomenon is particularly observed with robotic devices which interact closely with the body, especially if they are designed to compensate for a loss of sensory or motor capacity. 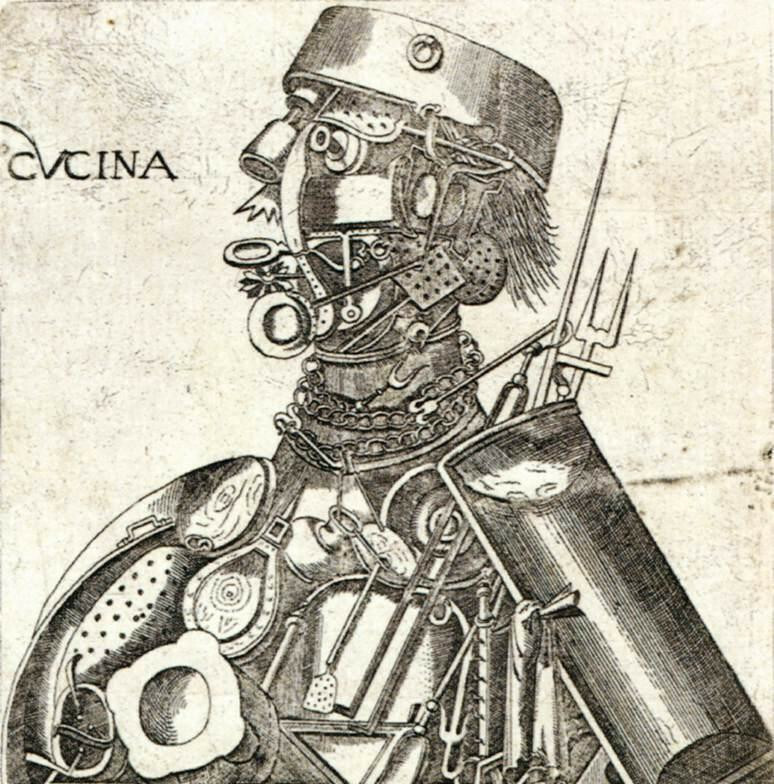 I am therefore interested in considering and understanding the socio-anthropological and cultural phenomena affecting the appropriation and use of technical objects which interact with the body as much as (or even more than) their technical performance, along with the ethical issues related to the convergence of human body and technology.